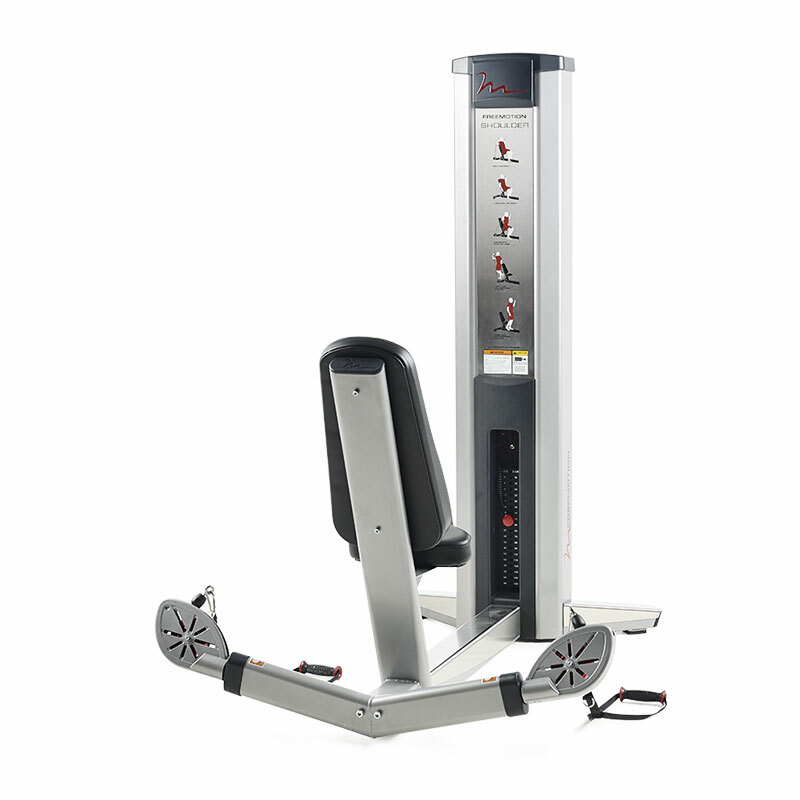 The Genesis Shoulder Press welcomes people to a more effective workout. There’s no intimidation factor on this machine, just a better way to build shoulder definition. When the person chooses to stand, core muscles are activated to get more out of a standard workout. 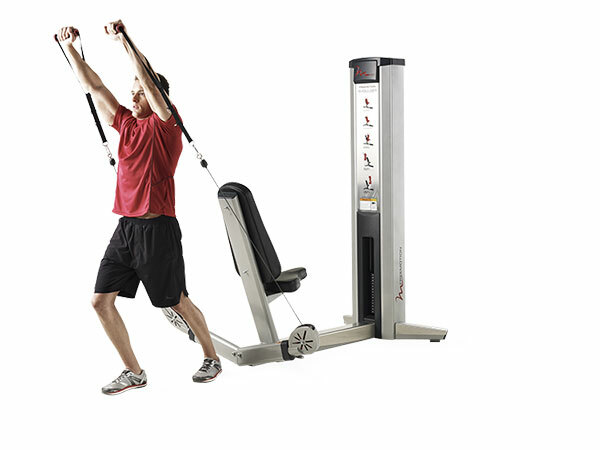 The Genesis Shoulder Press is constantly evolving – every time a member uses it they can upgrade the challenge to gradually see results over time. Proudly ADA compliant, anyone can use this machine. The proprietary design of the Freemotion pulley allows the member to move any, and every way, they want to. Handles and arms can move together or one at a time to created personalized shoulder workouts and single arm movements. 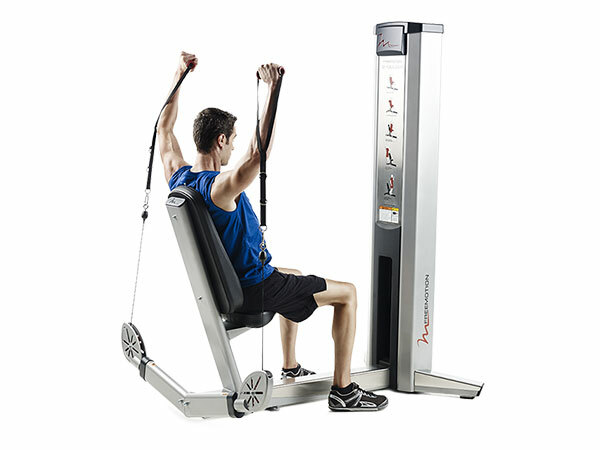 Extensive cable travel allows for full exercise extension, single arm: 76 inches (193 cm), two arms: 42 in (106.6 cm). A supported, seated position is ideal for traditional and first-time exercisers. To further challenge the body and initiate core muscles, move forward on the seat or stand up. Handles move one at a time for a wide variety of chest exercises and single arm movements. Large, 16-gauge, stainless steel kick plates protect the machine from wear and tear. 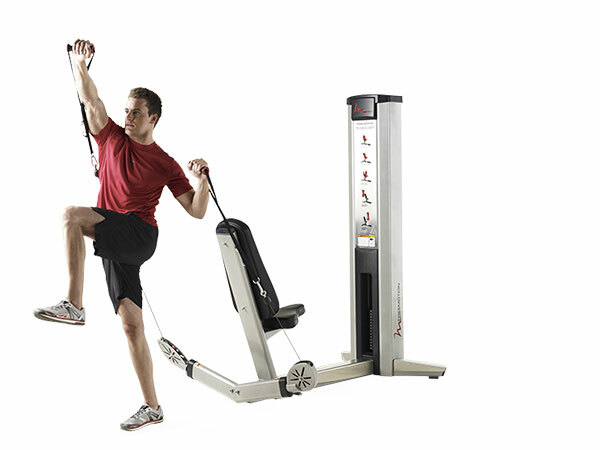 Extensive cable travel allows for full exercise extension, single arm: 76 inches (193 cm), two arms: 38 inches (96.5 cm). Built with 11 and 7-gauge steel and electrostatically powder-coated, this machine is built to last. Proudly compliant with the Americans with Disabilities Act (ADA). ADA Compliant Compliant with the Americans with Disabilities Act (ADA).